After a long process, we decide to make on of the biggest changes we have done so far on any RSP frame, adding on the Aero System Seat Tube, in addition, we improved the look with a refined top tube, a new sleeker, lighter butted Hydroformed top tube graces each of the RSP 3.0 frames, helping reduce weight and refine the shape of the 3.0 and a updated Chain Stays on the Mini, Junior, and Expert Frames. So when it came time to make it better, we looked at every tube on the frame to see where we could make a improvement, while keeping the integrity of the frame the same, and making sure any change would be 100% functional. We found such an advantage. Looking to gain a slight aerodynamic advantage, we zoned in on the aero design of many Road bike and Time Trial frames. So after carful research, we have fitted the new RSP 3.0 with what we feel is a functional advantage, an aero shaped seat tube. The aero design is a first for BMX racing frames on the seat tube and post, be we have seen the data to confirm this is a true advantage. This along with our already aero head tube can offer a small advantage that could be the difference in a victory. 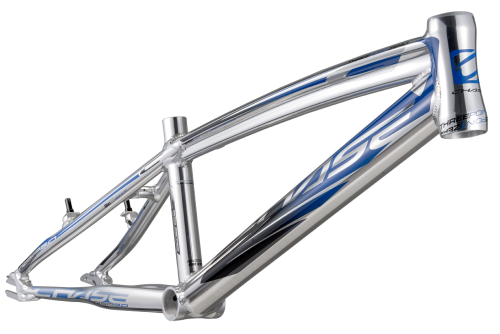 Chase RSP 3.0 Frames require the ELEVN Aero Seat Post Clamp and Seat Post. ELEVN also offers a Seat Post Extender for both frame sizes. Chase Bicycles introduces the Aero seat post tube, seat post, and seat post clamp into BMX racing with our RSP 3.0 frames. This is to not only to help gain fractions of a second on the track with improved aerodynamics, but the Aero tubes also offers a slightly stiffer feel. We know BMX bikes don’t need to go fully aero testing into a wind tunnel, but when races are won or lost by fractions of a second, every advantage will help. Chase Bicycles utilizes the triple butting on our line of RSP frames. A triple-butted tube means it has three different wall thicknesses along its length. Chase uses this technology to reduce the amount of material used when building the RSP frame, decreasing its weight by 15% compared to last years frame tubes used to construct the frame. Lighter where it can be and stiffer where it needs to be means no excess weight on the bike that gives you an advantage with the Element frame and against the completion. 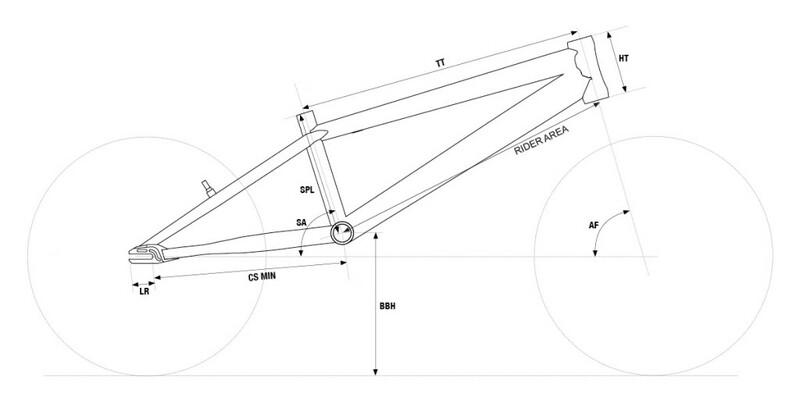 Chase Bicycles utilizes the CNC machining process to produce out 3D Modulus Dropout and small parts of RSP frames. Using the CNC process allows us to design parts that are specifically built to work the best with our proprietary frame tubes, giving us another way to control the overall weight and strength – flex factor on the frames, to give you, the best ride and feel from our complete bikes. Precision machining enhances the beauty and craftsmanship ship of all frames offered from Chase.